Limited training/competition/sales spots available with FEI dressage rider, Keegan Byrne. Keegan has been fortunate enough to have spent much of her life traveling the world to train with some of the sports tops riders and trainers, including Walter Zettl, Anne Gribbons, Stephen Clarke, and Eddo Hoekstra. 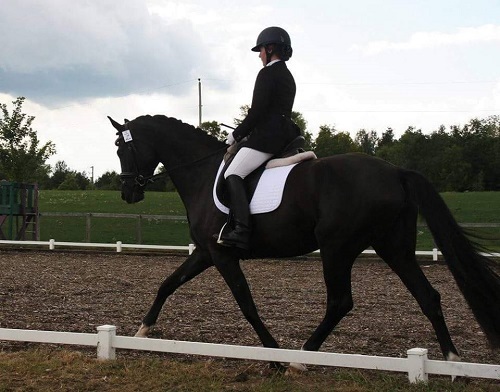 She has most recently returned to Ontario from spending valuable time riding in Germany, and has limited training spots available. Full or partial training for all horses, unstarted youngsters through FEI athletes. Also available for freelance lessons.